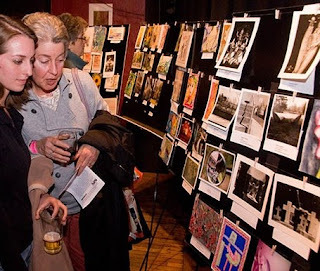 The Small Works Show is a fundraiser held annually to benefit the amazing Jamaica Plain Open Studios. How does it work? Local artists donate "small works" which means they must be 5x7" or smaller. Each one is $50 with proceeds going straight to JPOS. This year BH's very own Jessica Burko is one of the donating artists. This year the event is being held at the infamous Doyle's Cafe at 3484 Washington Street in Jamaica Plain from 6-9pm on June 23. There is a $10 suggested donation at the door and light refreshments will be served. Please come out to see wonderful art and support a worthy cause!